Dimensions (HxWxD): 0.675" x 0.6" x 0.52"
This gorgeous 27.5 carat Sea Green Aquamarine gemstone has perfect hexagonal form and is just the right size to place in your hand during meditation and to carry in your medicine bag. 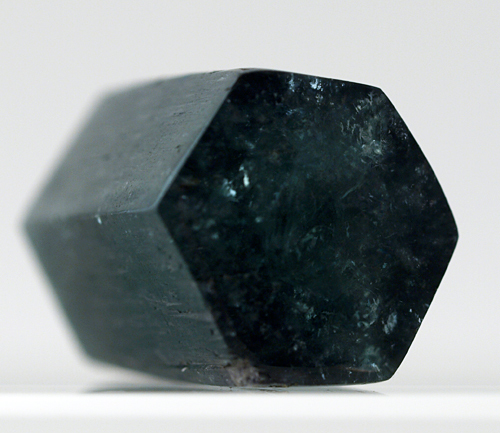 Aquamarine is often very pale blue with a greenish cast, but this aquamarine has a pronounced greenish color. This gemstone assists us to assimilate new knowledge while remaining true to our own highest nature. Aquamarine helps judgemental people to become more tolerant by reinforcing the connection with the Higher Self while clarifying mental activity of all kinds. It is a stone which encourages flow, balance, protection & clarity, attuning us to spiritual worlds while enhancing the connections between our intellectual, emotional and spiritual bodies. This aquamarine gemstone's sea green color indicates the stone's affinity with the heart chakra, which is considered to be green in color in the Western chakra system. 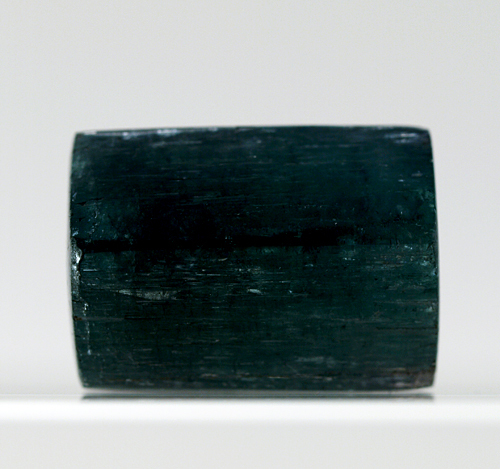 Thus this unusual green aquamarine can be used in meditation to help connect, energize, and clear the crown, throat and heart chakras. This is truly a gemstone for those who wish to enhance their abilities to speak from the heart, and to learn to see with the heart as well. Lightworkers will want to place this stone on their client's throat chakra or heart chakra during energy treatments to facilitate mental acuity and energize the individual with the courage to speak their own truth. Note: Actual weight is 27.5 ct. or .2 ounce.